SnapaShot, easy FREE screen capture software! 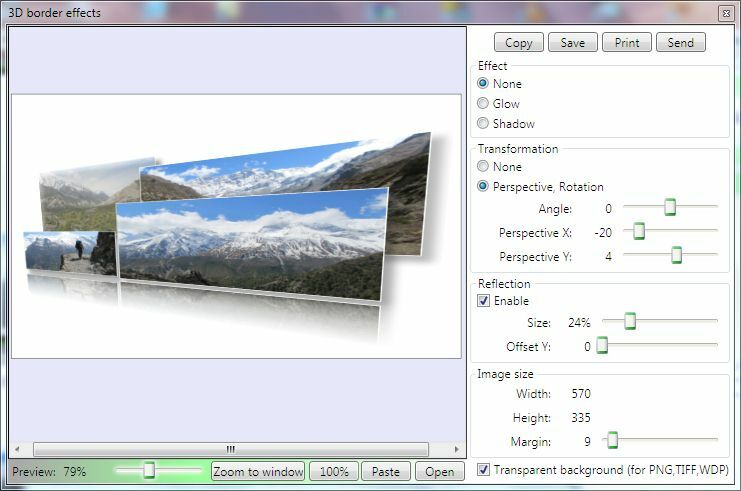 The smallest free tool for taking screenshots of different size. 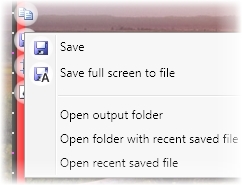 Just open Snapa, resize its window to fit the area you want to save, and press "Save" button. SnapaShot is the easiest and quickest way to capture screen! 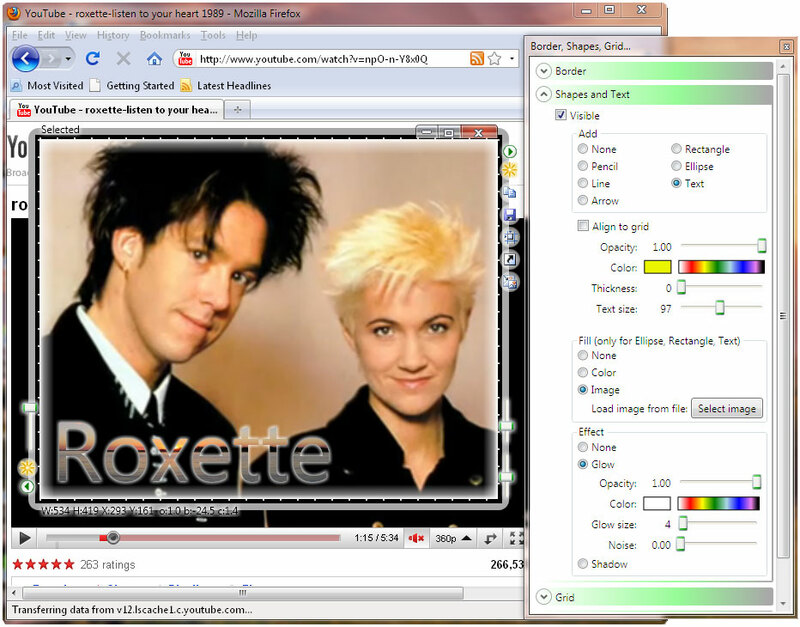 Free screen capture software SnapaShot demo. SnapaShot PRO demo. SnapaShot PRO. Autosave mode demo. SnapaShot PRO. How to make collage in 2 minutes. With SnapaShot PRO you can change brightness and contrast on the fly, change size of the screenshot. All these demo images were created only with SnapaShot PRO! 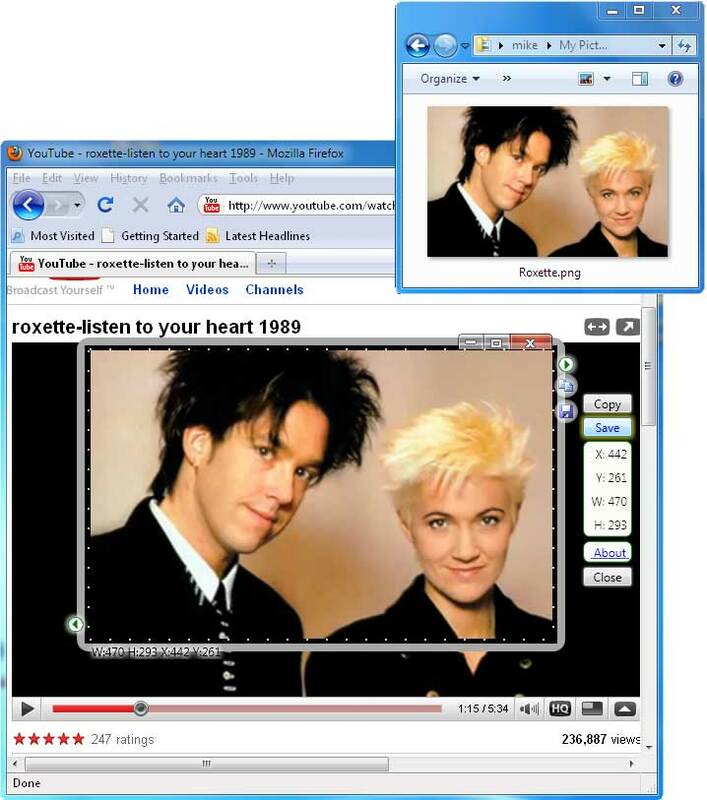 Choose SnapaShot screen capture software instead of windows "print screen" button. Ideal for image cropping without any Photoshop and etc..
For using last version of SnapaShot and SnapaShot PRO you should have Microsoft .NET 4.0 installed (all Windows 10, 8, 7, Vista already have it). 'We liked SnapaShot a lot, and we think it's a great alternative to the built-in Windows screenshot utility! Please try our screen capture software FREE! Is it possible to start the program from FLASH drive? I downloaded SnapaShot. How do I unzip it? Computer has windows Vista as the operating system. Is it possible to work with other programs on PC "through" SnapaShot window? How to change brightness and contrast of a screenshot? 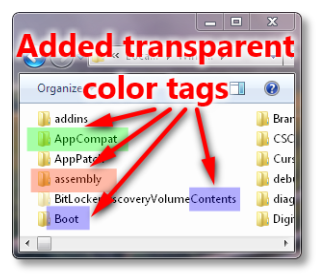 How to quickly set brightness and contrast to default values? Why screenshot is white or black? Why all screenshots are gray? How to rotate (flip...) screenshot? How to make screenshot of menus, popup menus (delay capture function)? How to add text (line,arrow...) to screenshot? How to edit text? How to delete text (line,arrow...) from screenshot? How to add image from file to screenshot? How to add border with rounded corners? How can I select the printer? Is it possible to increase (reduce) the size of a screenshot? Is it possible to constrain proportions of a screenshot? Is it possible to return to original size of a screenshot? How to quickly resize to top window on desktop? 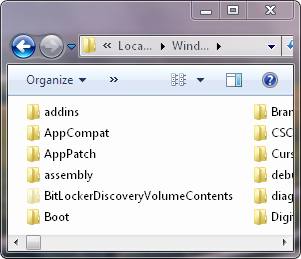 How to open folder with recent saved file? How to add my text as watermark to screenshot? How to load the image from file to SnapaShot Pro (for brightness and contrast... changes)? How to get screenshot of opened window menu or drop down box? Can I use one license for program at home and at work? Do I have to deinstall the program? What to do if when the program starts a message like this one "Error at initialization of the address (0*с0000135). For Close press ОК..." appears? When I click to drag SnapaShot, I see a box without SnapaShot, what happens? 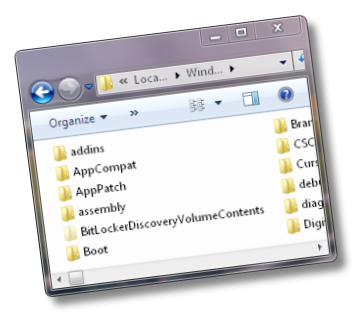 Please open it with Windows Explorer (right mouse click on SnapaShot.zip->select "Open with->Windows Explorer" from popup menu) and copy the file SnapaShot.exe to some folder or desktop. Freeze screenshot using button Freeze/Unfreeze . Change brightness and contrast using necessary track bars at right. If the screenshot size is small, open ShanaShot Control panel and use track bars on it. Dbl-Click the right mouse button on a necessary track bar. 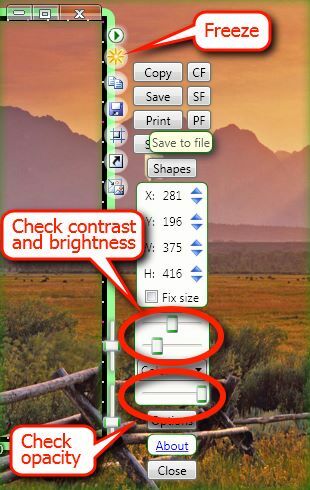 You should correctly set the brightness, contrast and opacity of the image. Change brightness and contrast using necessary track bars at right. Please check the brightness and contrast option in SnapaShot. See picture. All screenshots will use this brightness and contrast. Dbl-click on slider to set it as default. How to rotate (flip...) screenshot with screen capture software SnapaShot Pro? Open SnapaShot Control panel , open Shapes, text, border, transformation panel. Select needed transformation. 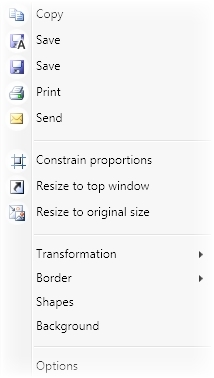 Or you can open context menu (see below) on SnapaShot border (click with right mouse button on it) and select needed transformation. You can use SnapaShot hot-keys for this (SnapaShot->Options->Hot-keys). By default hot-key Ctrl+Shift+E freezes the picture. Please open needed popup menu and press Ctrl+Shift+E. How to add Text (Line, Arrow...) to screenshot? How to edit text? Open SnapaShot Control panel , open Shapes, text, border, transformation panel. 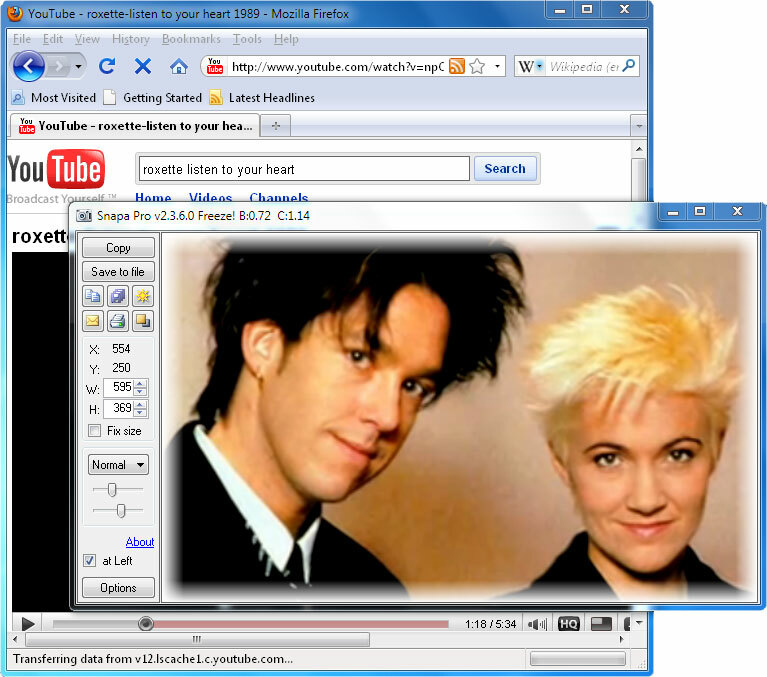 On panel Shapes and text check Visible, select Text (Line, Arrow...) as Add mode, push the right mouse button on screenshot, the new text will be added and Text edit window will be opened. To start text change double click on text. Click with right mouse button on needed text (line,arrow...) and in opened menu select Delete. 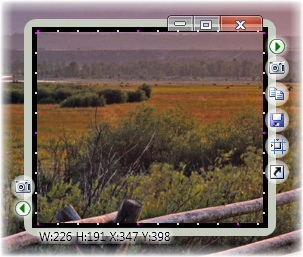 Add rectangle (ellipse) to screenshot and select Load image from file on Fill panel. Open SnapaShot Control panel and press button Shapes. On panel Border->Visible->Rectangle-> set needed Radius X and Radius Y. In print preview window press button Print... (Printer setup) and in opened window select needed printer. Yes, it is possible. Press the button Freeze and stretch a window till it is of necessary size (or open SnapaShot Control panel and press buttons , or use <- -> keyboard buttons + Shift). Yes, check buttons Constrain proportions at right. Yes, press button Resize to original size at right. 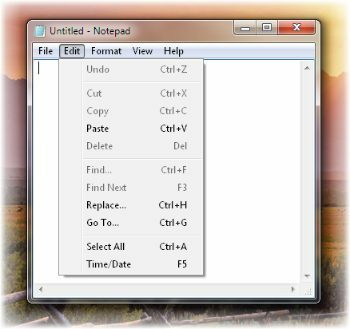 Click with right mouse button on Save button and select command Open folder with recent saved file from opened context menu. Open SnapaShot Control panel , open Options panel. Add needed text on panel Watermark. Select needed visual effect for it. 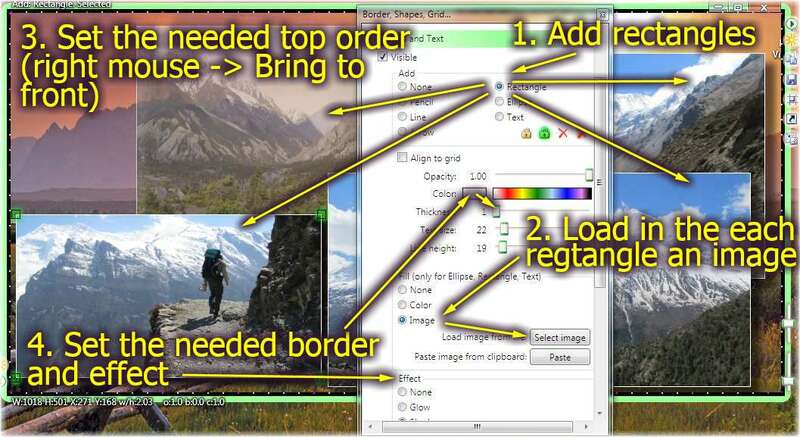 How to load the image from file to screen capture software SnapaShot Pro (for brightness and contrast... changes)? Open SnapaShot Control panel , open Shapes, text, border, transformation panel. On panel Background select Fill with image from file. 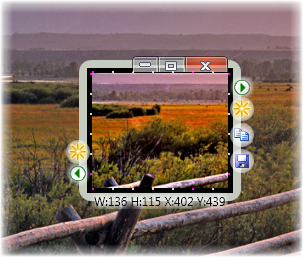 Open SnapaShot around needed window (can use button Resize to top window ). Open menu in needed window (or drop down box) and press SnapaShot hot-key for getting screenshot (command Freeze/Unfreeze ). Yes, you can. On the other computer it's necessary to enter your registration keys (in your windows session). No, simply remove the program file. Such message appears when the Microsoft .NET 2.0 package isn't installed on PC. Please open in Windows panel "Performance Options, Visual Effects" (Computer->Right mouse click->Properties->Advanced system settings -> panel System Properties, Advanced->button Settings... on panel Performance -> panel Performance Options, Visual Effects) and check option "Show window contents while dragging". These options should be enabled. 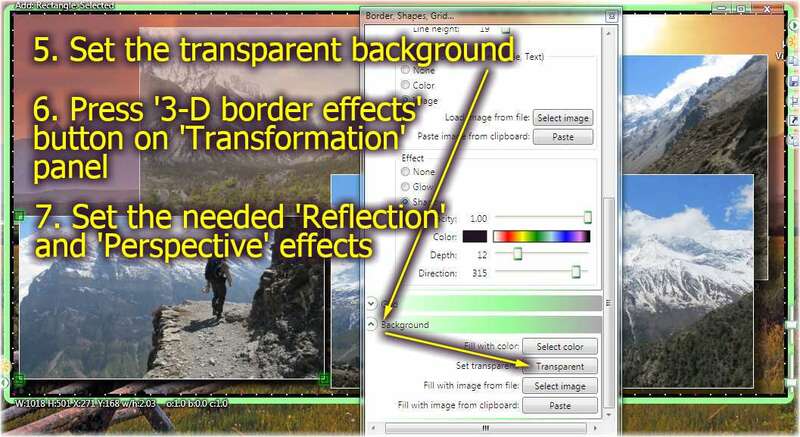 It is possible to apply transformations automatically when save or copy a screenshot? What to do when buttons are not visible because the window is too small? How to change brightness and contrast if the transformation panel is not visible (window is too small)? How to add text (line,arrow...) on screenshot? How to edit text? Yes, please check option "Save(copy) with transformation always". Please press mouse right button and in popup menu select the command. How to add text (line,arrow...) on screenshot? 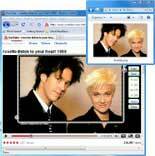 How to edit text with screen capture software SnapaShot Pro? Freeze screenshot, open Transformation console, enable Shapes, select Text as Shape, push the right mouse button on screenshot, move and then release mouse - the new text will be added in selected block. To start text changes double click on text. In preview window press button Paper and in opened window select needed printer. Yes, it is possible. Press the button Freeze and stretch a window till it is of necessary size (or use Alt + arrow keys). Click the right mouse button on a necessary track bar.